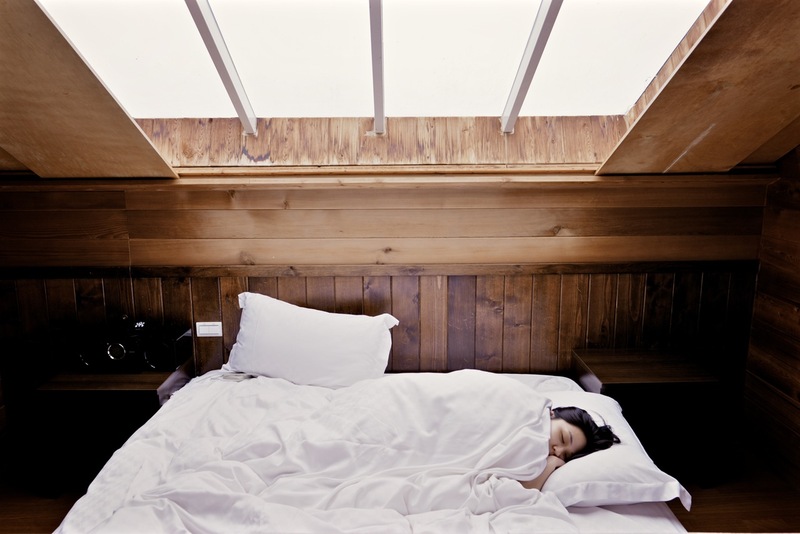 Did you know a messy bedroom can contribute to your lack of sleep? We've got 10 great tips on how to organize your apartment bedroom for a better night's sleep! Add furniture that offers hidden storage like nightstands, headboards, and chests. When you can remove clutter, you can eliminate stress which will help you sleep better. Make your bed in the morning. It's surprising the difference it makes, getting into a 'made' bed at night, instead of a messy one. Don't undo your organization and tidying progress, by forgetting about the bed! Add a fresh plant. Jasmine and Lavender plants are known to reduce anxiety levels and help you get a better night's sleep. Take out the TV. Your brain is actually stimulated by the blue light that emits from a TV, mobile phone or e-reader. To promote sleep, avoid electronic devices for 30 minutes before bed. Get comfortable! Choose bedding without beads or stiff materials. Avoid synthetic materials and opt for cotton or linen sheets that will allow your skin to breathe. To help keep clutter away, use a closet organizer. A big closet is a bonus, but without proper storage, it can become cluttered easily. If you are concerned about damaging the closet walls, try using a closet insert or placing storage cubes that will sit on the floor. Put away dirty laundry. Use a hamper that is large enough for your clothing, and be sure to place dirty items in it. Use a coat rack or hooks on the back of your door for any garments you plan to wear again. Add music to your bedtime routine. Lullabies aren't just for babies! A soothing playlist can help you relax and offer you a better night's sleep. You don't have to listen to jazz, just pick songs with a slow rhythm that you are familiar with. Keep the light out. Don't rely on blinds alone, add room darkening shades or curtains that will block out sunlight. Choose warm or light coloured curtains to promote a more relaxed environment. Make a bedtime routine that includes a quick bedroom tidy. Feeling like you've accomplished something at the end of your day will help keep your mind at ease. Here at 66 Isabella, we have spacious master bedrooms with large closets to help aid in your organization. Contact us today to view our available suites.